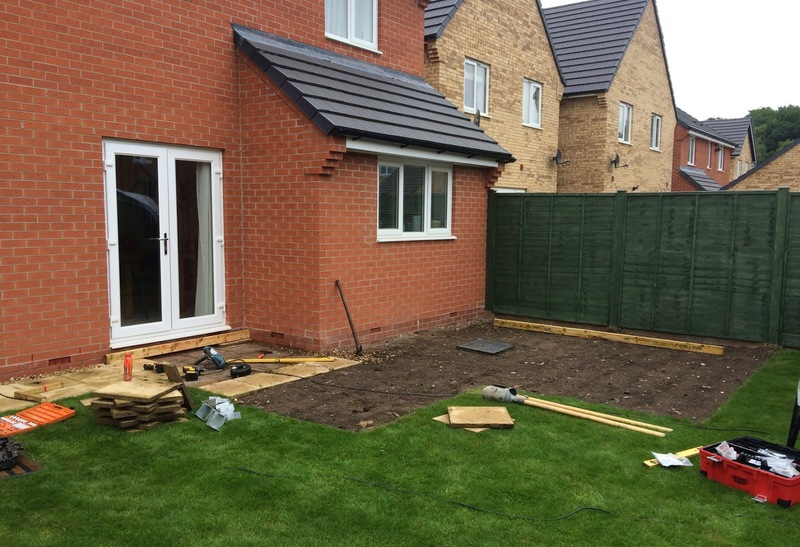 2 months since my last update, were super busy and not had much of a chance to sit down at the computer! 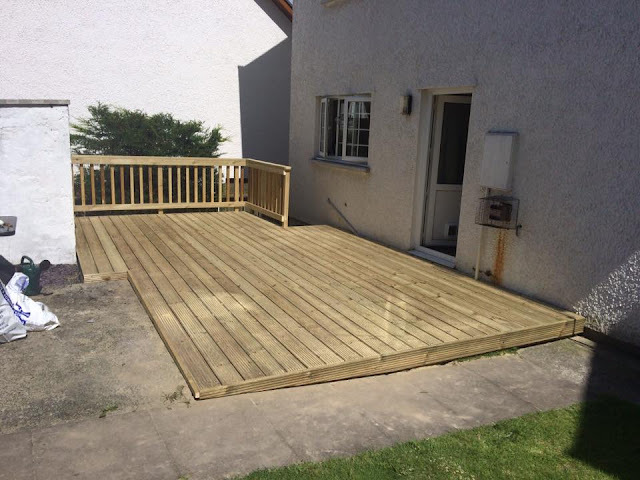 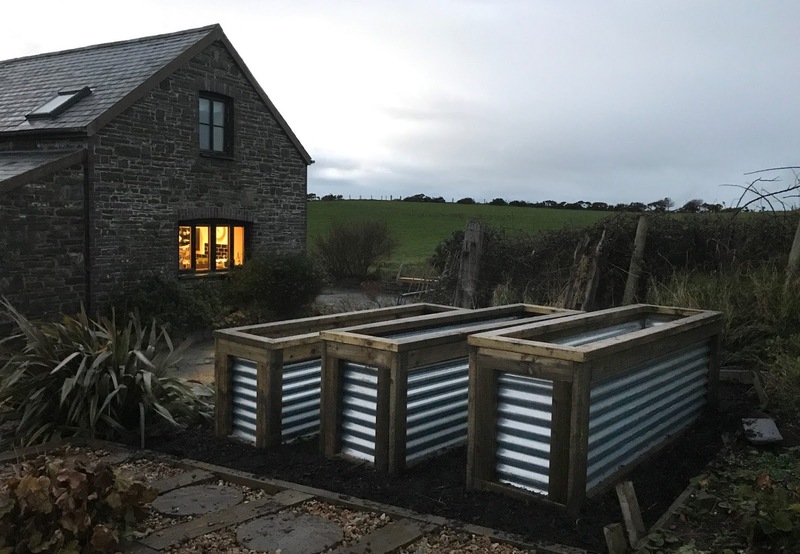 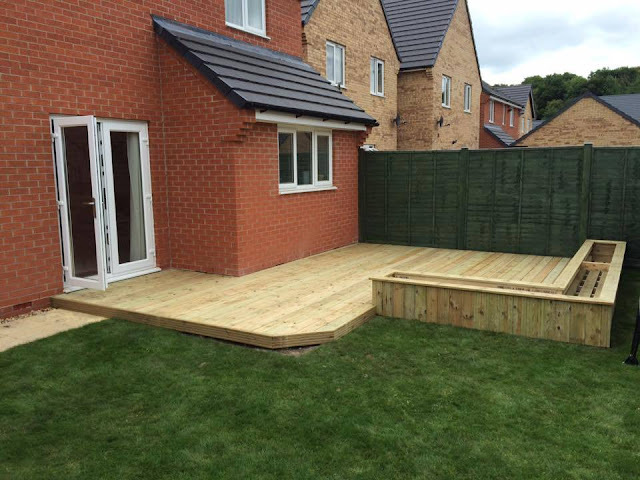 This next timber deck in Wrexham covered a regularly wet garden and provided a focal point and useable space in the garden, we added a planter to help separate the deck from the garden without the need to use rails. 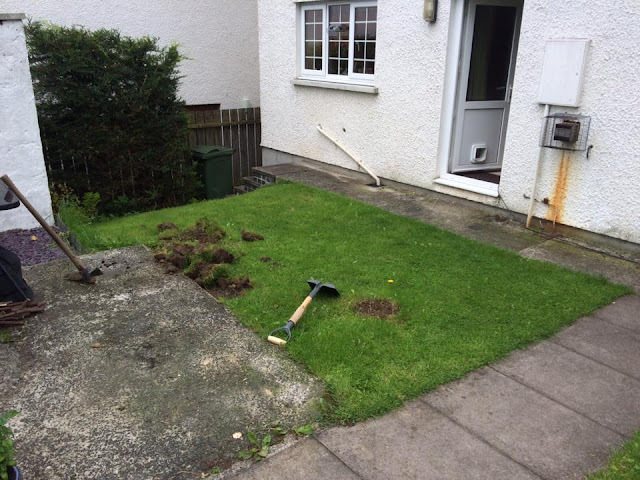 and a couple of afters. 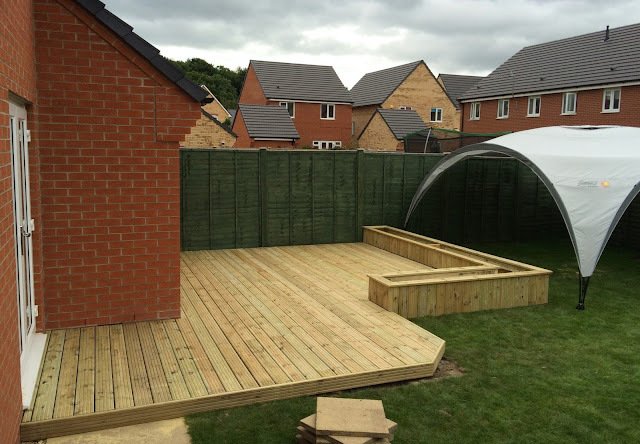 A big thanks to our client here for providing us with a shelter to work under! 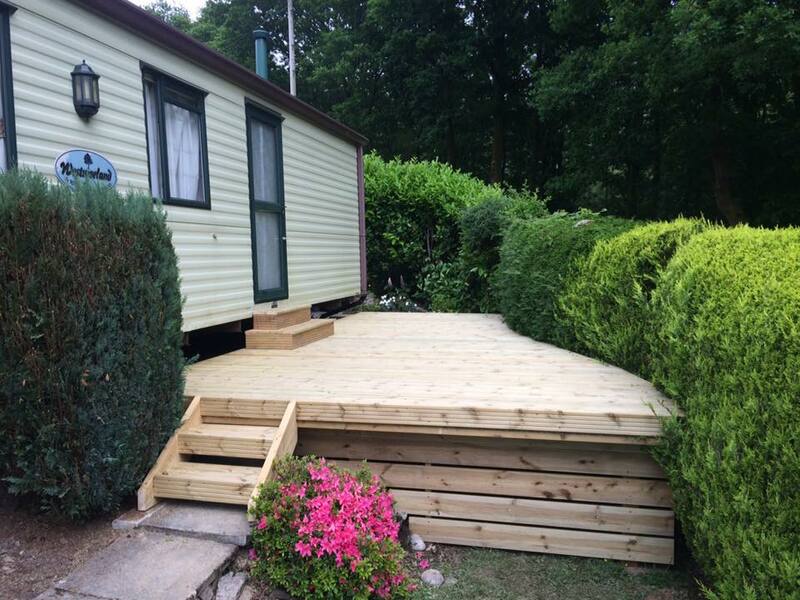 With it being summer time we've also been flat out building timber decks on Caravans. 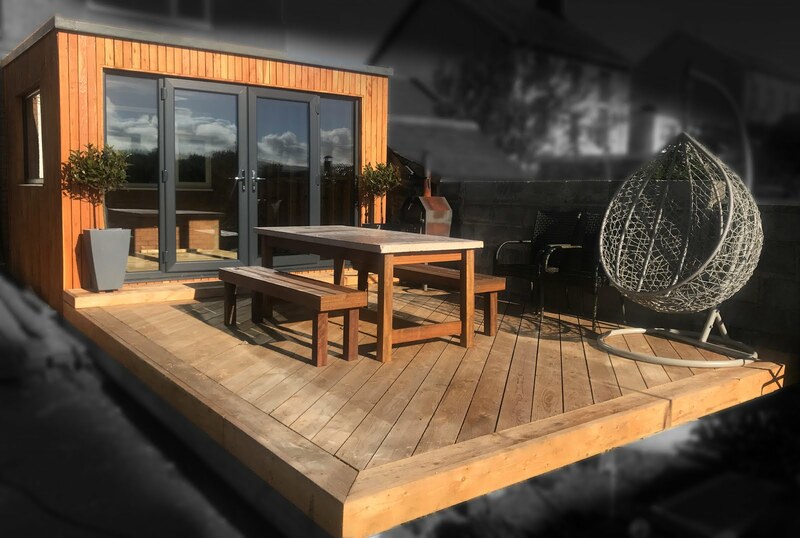 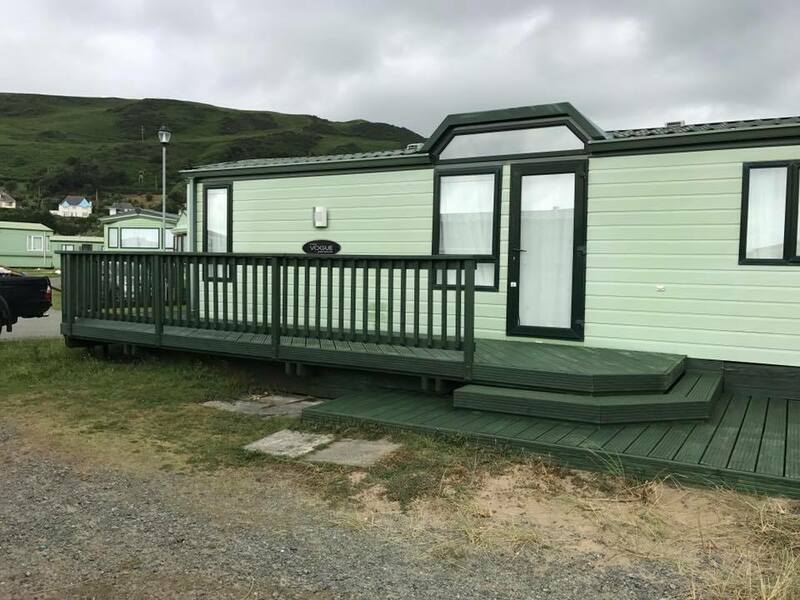 I wont post all the caravan photos as they tend to be similar in design but here's one that was a little different to make the most of a small area; the customers wanted the deck as low as possible to maintain privacy. 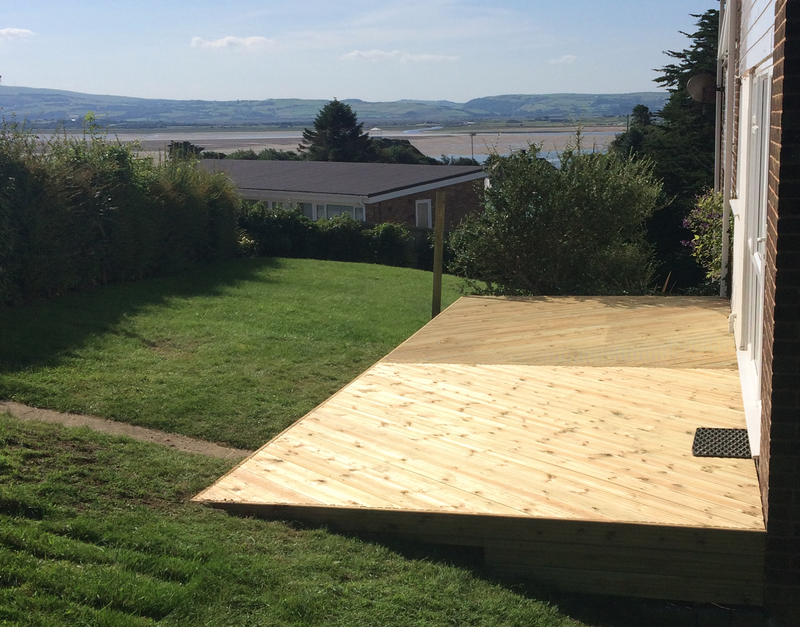 Finally here's a recent deck laid in a herring bone design built in Aberdyfi / Aberdovey.